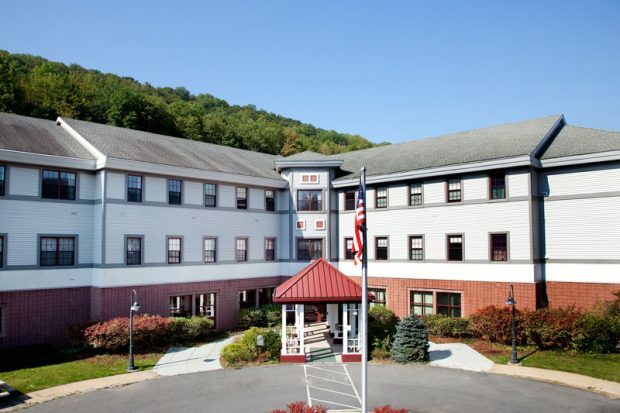 Mountainside Residential Care Center, in Margaretville, was recently honored with the Women’s Choice Award for being one of “America’s Best for Extended Care in the United States.” The center, a member of the Westchester Medical Center Health Network (WMCHealth), is based at Margaretville Hospital. With 82 beds and 115 staff members, the center earned the honor from WomenCertified Inc. of Hollywood, FL, for its remarkable and compassionate resident care. The agency specifically cited Mountainside as a facility that women would highly recommend for the long-term care, rehabilitation and nursing-home needs of their loved ones. The facility consistently earns the U.S. Centers for Medicare and Medicaid Services highest rating of five stars and is annually recognized by U.S. News & World Report as one of the country’s best nursing homes. Mountainside was also honored last May with the Eli Pick Facility Leadership Award, the highest management recognition offered by the American College of Health Care Administrators.